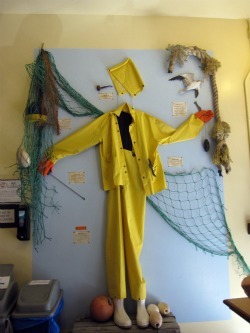 At mealtime in Manhattan you can find just about anything you are looking for, including fresh Maine lobster. 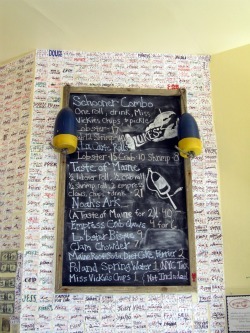 Teddy and I went to Luke's Lobster in the East Village on Sunday for lunch - I have to give him the credit for this idea. We both had the Schooner Combo that included a 4 oz. 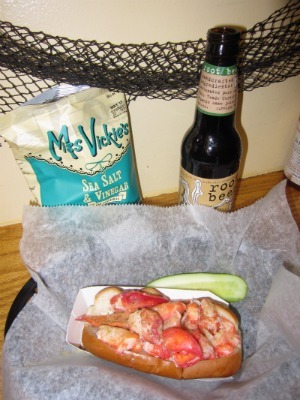 lobster roll, Miss Vickie's chips, a pickle and organic Maine Root soda. The toasted and buttered New England-style hot dog bun was filled with only claw and knuckle meat, said to be the tastiest parts of a Maine lobster. There wasn't much mayo, which I found unusual but liked nonetheless, and was topped with a light seasoning. 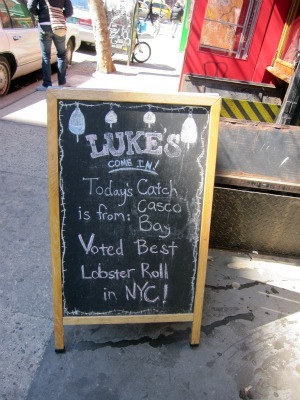 There are 3 Luke's Lobster locations in the city. The East Village spot is the original and smallest with only 8 stools. Honestly while I was there I forgot I was even in Manhattan and that it was 40 degrees outside. Luke's was featured on Food Network's Food Feud. I don't watch these shows but always think it's fun to hear about, they wouldn't be featured without reason. I'm going to have to check out the competition now. Lobster automatically makes me think SUMMER. Ted's brother sets lobster traps in Martha's Vineyard Sound. That's me with a fresh catch on a past summer trip. So, lobster anyone? Lordy, I am ready for summer too. I can't wait for the warmer weather. 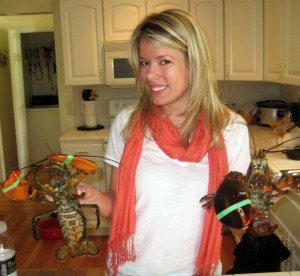 We keep getting teasers here in VA.
You can't beat fresh Lobster, especially from Maine! Yum, love me some LOB-STA! 4. to sum it up, im jeal. yummmm! i love lobster! that restaurant is so cute! that looks absolutely amazing!!!! you look adorable too!!! I have been meaning to check Luke's out for a while and your post just put me over the edge-- I'm going tomorrow! Thanks for the review! Lobster totally reminds me of summer too! Looks so good! yum! 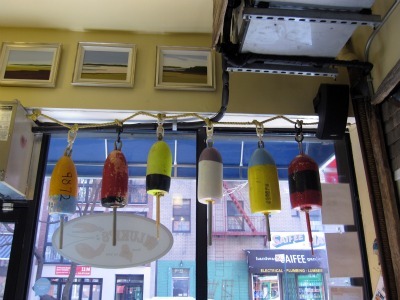 I want a lobsta roll now, please!